LoadshEDding has become a daily occurrence. 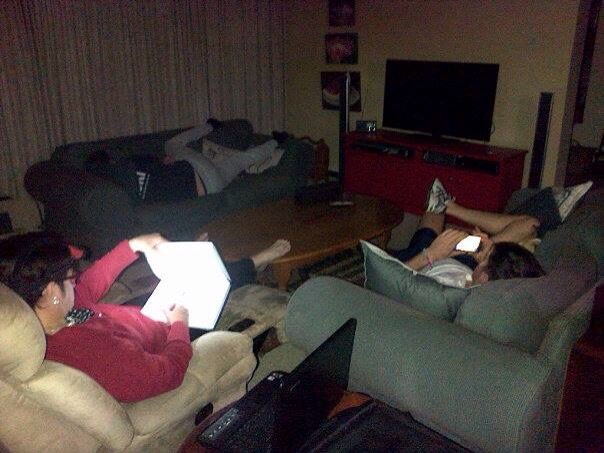 Look at the picture and spot the old and the new – no lights, no TV, headlight, smartphone, transistor radio, marking, sleeping, communicating, etc etc. I’m lights out! Port Elizabeth has been in the news for all the wrong reasons – murders, rapes, mayors, embezzlement of funds, etc etc. People are crying out for medicine, others are wanting medicine for purposes of euthenasia or weed for pain relief, etc etc. Last week we had supper with the Terblanches, lunch at The Friendly Stranger and saw a Centrestage show at The Old Grey Club. Becoming quite social again in my old age and my eighth year of illness, etc etc. It’s been two weeks of no Wednesday radio. It’s great not being in the public eye (ear!) but I must admit I do miss it! Lance is overseas in the East and we will soon be in the West! The New World! Watch this space when we all back again! All our visas have been approved and arrived now … All we need are Dollars … American and Canadian! This week is reunion week at Grey. OH Lordie, give me strength! I hope to see the week through and report back next week! And now it’s eight fifteen and the lights have come on after two hours. I’m actually enjoying the peace and quiet that comes with the darkness. 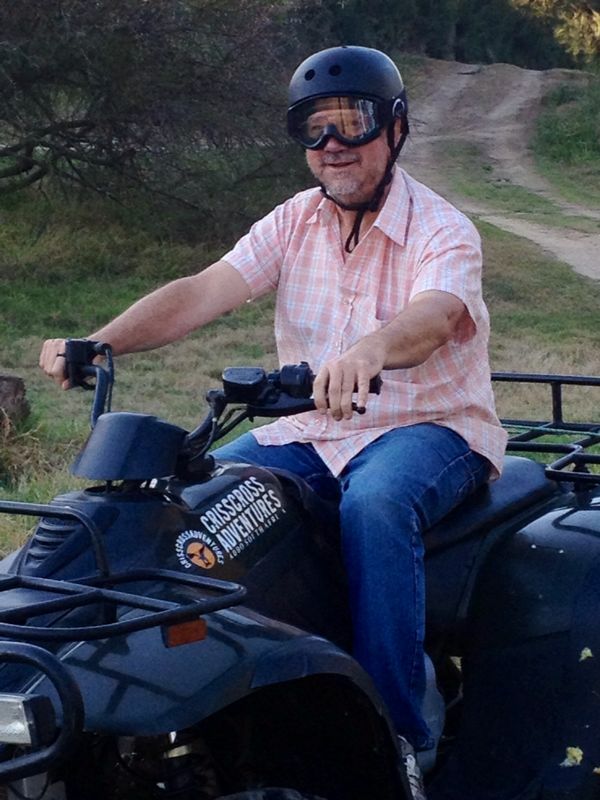 The best of times … the worst of times! 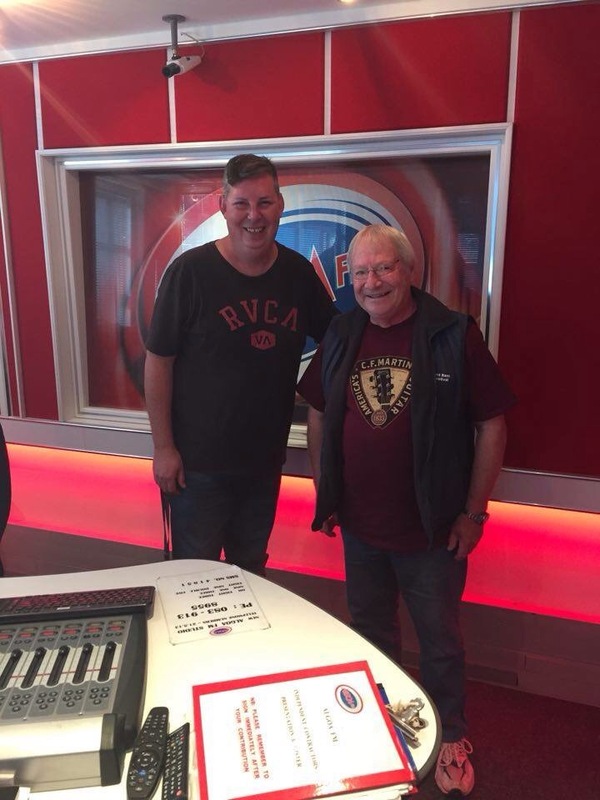 It’s been a difficult few weeks: Earthquakes in Nepal, Murders in Port Elizabeth, Xenophobic attacks around South Africa, load-shedding in the country, pain in my leg and bum, my last radio talk with Lance on AlgoaFm, … the list continues. It has been a difficult time for me – both physically and emotionally. I promised myself that I would not allow myself to become emotional on air last week, but I did! I cried that tear! The CBD not only takes your body away from you – it also robs you of your ability to work and hence your job, your livelihood, your assets, your friends, your social life, your personality, your memory, your driver’s licence, your being … the list continues! Hidden away among the hype, the “skinder” and the rallies of the Port Elizabeth Jade murder last week, has been the ground-breaking court case in Pretoria related to assisted death (euthanasia) for people who suffer from life-limiting illnesses. It is an emotive subject. One that will divide the population. Is it OK to call for the death penalty in the case of murder, but not assisted suicide in the case of severe illness and pain? I must admit – I have cried a few tears this week. It’s time to face the world again. It was round about March of 2010. I had been ill for 3 years. Lance and I met at the Mugg and Bean at Greenacres and discussed the possibility of doing a radio interview regarding my illness. I had been told that in 2010, three years into my illness, I could expect to become severely incapacitated and that, in all probability, I would die within the next two years. So, we had our first interview on Wednesday 31 March 2010. The rest, so they say, is history. Fast forward the clock. 260 interviews later. I am not yet dead – nor am I severely incapacitated. 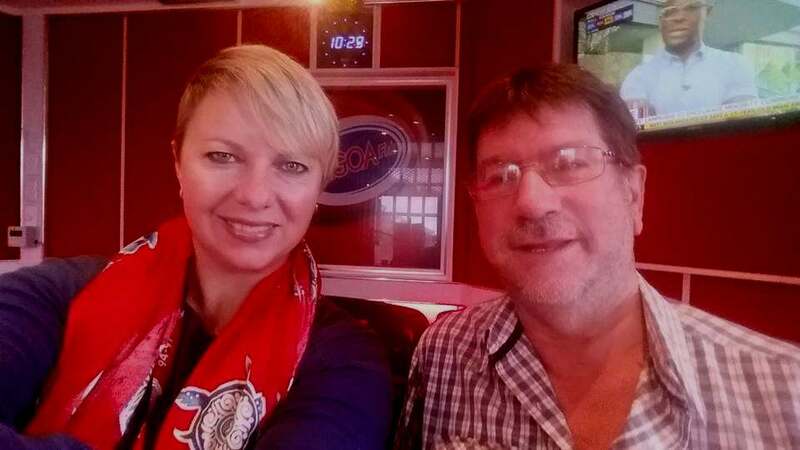 Algoa Country, the broadcast area, has got bigger to include the southern Cape and places like Plettenberg Bay,Knysna, George and Mossel Bay. Together with the Border, the Eastern Cape, the Karoo … the listeners have increased across the country, on the air and online. The number of readers of my blogsite, which I commenced at the same time as our interviews, has increased from zero to just short of 200 000 hits. I have in a small way been able to raise awareness about my illness, in particular,but in general about living life with whatever the hand is that is dealt to one. ED is in humblED by the reaction of the public and the support and assistance that he has received over these years. ED is in wED, yes, for one last time this coming week, but ED is also in blessED. I am thankful and grateful to Lance du Plessis who believed in me from that first meeting, and who has supported me and kept me talking behind that microphone during these last five years. Thank you to AlgoaFM for allowing me those ten minutes every week. Judging by the response that I have received over the years, you cannot imagine how many lives have been touched across Algoa Country. To the AlgoaFM colleagues who have met me in the passage, chatted to me and encouraged me, thank you for your support and encouragement. I shall miss you all. To Tove, Briony and KayCee, who have also at times interviewed me, thank you for your time and encouragement, too. Daphne, at the front door, always with a smile and a good word – I shall miss that friendliness ever Wednesday morning! Yes, it will be quite a change when from next week, I will wake up on a Wednesday and not have to think about the radio or the listeners. As my niece and nephew, Sebastian and Michelle, refer to me, the “radio man” is in retirED! Thank you to all of you who have listened to me talking to you from the studio, my bed, London, Dublin, Phuket’s massage beds and the length and breadth of our beautiful country. It was only on one occassion, in the Western Cape’s Cederberg, that we were totally prevented from having our talk due to lack of reception! You, the listeners, have listened in our homes, your offices, your cars, your favourite picnic stops, your forecourts, wherever … thank you for listening! Thank you for listening, for sharing, and for caring! We have seen and experienced and discussed numerous events over the last five years. We have seen the best of times and the worst of times. We have seen the best in people and the worst in people. May I continue to encourage you to Live Life each and every day. I invite you to continue accompanying me on my journey, however long or short that may still be, by reading my blogs on this site, http://www.edlunnon.wordpress.com or http://www.edlunnon.co.za. I thank you for allowing me into your homes and into your lives. The right word said at the right time can inspire or encourage someone. The perfect words can provide hope or just give someone a boost when their energy is flagging. For all walks of life, here are a few words of encouragement for the person in your life who can use it. Maybe it’s you. 1. To make the first step toward change, you must begin – To paraphrase the Lao-tzu quote: the journey of a thousand miles starts with one step. To finish successfully, you have to get started. There is no time like the present. 2. Let go of the bad and focus on the good – Positive energy and a positive attitude will get you a lot further. Let go of what you can’t change and, instead, look to what you can change. Choose to dwell on things that are going well. 3. “Peace comes from within; don’t seek it without,” Buddha – This wise quote makes great advice. Material possessions, external circumstances, other people’s behavior–nothing will make you happy from the outside. Happiness starts with your own heart and soul. 4. Without the struggle, there is no strength – You can’t build strength without a little heavy lifting. Storms and tribulations will come; but you will out the other side stronger and better than ever. 5. Wake up and chase your dreams – Nothing can hold you back! You are who you want to be and you can do whatever you want to do. Make the decision to take one step toward a goal of yours today. 6. Don’t lose a diamond while chasing glitter – The biggest, brightest opportunities of life sometimes pass us by while we’re busy chasing temporary, less wonderful opportunities. The perfect job or perfect mate may take a little longer to get, but it will be well worth it. 7. Sometimes, you just need to take a deep breath and remind yourself of who you are and where you’re going – Perspective is everything. Let yourself have a break sometimes to remind yourself where you’re at–and where you’re still going. 8. Be fearlessly authentic – Don’t let anyone hold you back. Be yourself–unashamed, unafraid. There’s something beautiful in a person who can be who they are boldly and purely. 9. Happiness is the highest form of health – Add the prescription for happiness to your daily regimen. Whatever makes you happy, find a way to make it fit into your life. 10. Your value doesn’t decrease because someone else fails to see your worth – Your self-worth and value is defined by who you are as a person–your character traits, your wonderful personality, the things you are choosing to contribute to this world. It’s not based on what someone else sees or doesn’t see. Life is a one-time offer …use it well! ED is in wED for just three more weeks. Then, to quote the late Nelson Mandela, “I will be retiring from retirement”! 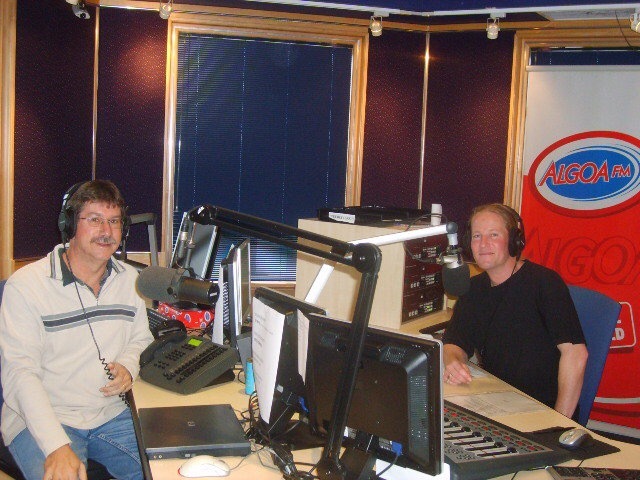 My weekly talks each Wednesday at 10h30 with Lance du Plessis on AlgoaFM will cease on 29 April, five years and 1 month after our first talk at the end of March 2010. I will have been interviewed 260 times. The purpose of our initial discussion was to raise awareness about neurological illnesses. I retire in the knowledge that we have achieved that, but only too aware that it is but the first stepping stone in a lengthy pathway littered with many obstacles. As long as my illness allows me, I will continue to write … And I hope that you and many others will continue to read! Dave Nichol was a part of us – us being a number of people here in the Port Elizabeth area who have various forms of neurological diseases. He passed away last week and his funeral will be on Wednesday. Every time we lose one of our group it’s like losing a part of us! This disease slowly takes parts of us and then slowly takes parts of our group! It stealthily works its way through the group. It is a silent killer! We shall miss you Dave and our sympathy is extended to all your family and friends. This is also Easter weekend with many people taking to the roads, heading for various holiday destinations. Many will also not return home as the slaughter continues on our roads. My family is at St Francis Bay and I spent the day there yesterday. The rain has been pouring down – maybe we wont have water restrictions after all! Electrical load shedding will continue, and St Francis and the costal areas were without electricity for most of the day yesterday! Easter comes from the word eastre which was a pagan festival and Germanic Godess of the Spring. It is celebrated by Christian people as the Resurrection Day of Jesus Christ and always takes place on the Sunday after the first full moon following the 21st March. Tomorrow we head off for Cape Town to be interviewed for our USA visas. The documents are filed, the forms completed and now remains the interviews. What a mission! Today is also 6 April, the day on which Jan van Riebeeck – the first European to permanently settle at the Cape – arrived at what is now called Cape Town! I wonder if van Riebeck travelled on a Dutch or a Schengen passport. Did Harry the Strandloper personally check the visas of the arriving party? Maybe if they had known then what they know now, they would have just sailed on past Africa and gone to Australia instead! They only wanted to open a tuck shop and look at all the trouble it’s caused! We used to celebrate it as a public holiday, but that is inappropriate in the new South Africa, and, shame, in the present political climate in our country, he is blamed for all the ills in the history of our past. I guess his statue will tumble too, together with all the others that are being torn down. We live in a volatile South Africa – some would say it is the beginning of our “African Spring”. Of course, despite all this spring talk, we are heading for autumn and winter here in the southern hemisphere, with Pera and i having an extra summer thrown in later in June. Luckily, our trip to Vancouver will be far less than that!